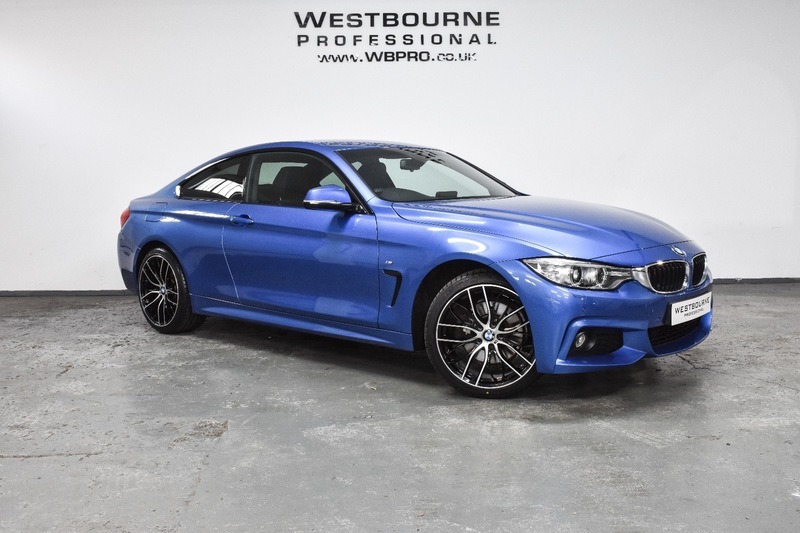 Stunning 430d xDrive M Sport in the most desired colour combination of Estoril Blue with Black leather, complimented by upgraded 19" M Performance diamond cut alloy wheels. The superb specification of this example includes Wide Screen Professional Navigation, Heated Electric Memory Seats, Front & Rear Parking Sensors, Automatic Xenon Headlights, Automatic Dual Zone Climate Control, Cruise Control, Automatic Wipers, M Sport Leather Multifunction Steering Wheel and much more. Fitted with 4 brand new tyres, and supplied with full BMW service history at 17597, 35551 and 52789 miles.